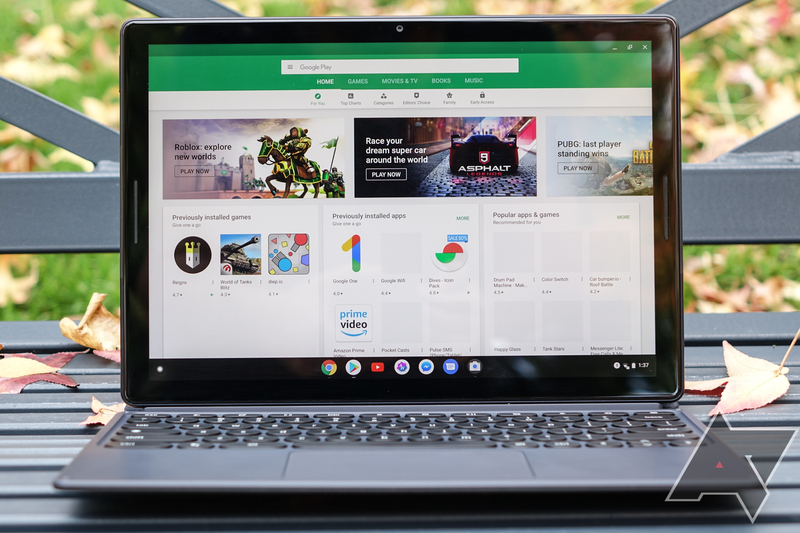 The watchful folks over at 9to5Google have been keeping an eye on one of Google's least-loved products in recent memory, the Pixel Slate, and have noticed something a bit odd: the Celeron models are nowhere to be seen. They've been out of stock on the Google Store - the only place these models were very briefly available - since shortly after launch, four months ago. The $599 and $699 versions of the Pixel Slate brought sub-iPad Pro pricing to Google's prosumer tablet, even if it turned out that the tablet itself beat the iPad in pretty much no sense that mattered. Marques Brownlee, typically known for his easy-going takes and willingness to embrace misunderstood tech products, basically called the cheaper Celeron Slate a turd. This was not a good look for Google. Shortly after that, the Celeron Pixel Slate showed up as sold out on the Google Store, and that status hasn't changed since. Is it possible Google manufactured such a small quantity of them and demand was so high that the entire initial batch was snapped up? Sure, it's possible. But given that entry-level SKUs for products like tablets and phones tend to be the most popular, it would have been foolish of Google to assume that demand for the Celeron models would have been lower than the Core m3 and i5 variants you can still buy right now, which cost $799 and $999, respectively. Even the m3 model, though, represents a $200 price hike over the basic Celeron version, which effectively has made the Pixel Slate an $800 tablet - not the $600 one it advertised at launch. That feels like kind of a bait and switch. What did Google have to say about all this? Frankly, they may as well have said nothing at all - their statement to 9to5 was an embarrassing sidestep of the question. We’re currently out of stock of some Pixel Slate variants, and don’t have an estimate of when they will be available for purchase again. We’ll keep the site updated when more information becomes available. In other words: "No comment." It seems that in all likelihood Google is taking a hard look at just how the Pixel Slate is doing on sales performance and evaluating whether or not reintroducing the Celeron models is worth the damage they might do to a product with an already middling reputation. While the Celeron chips are far cheaper than their core m3 and i5 counterparts (the bin price for the Celeron is $107, the m3's is a staggering $281, and the i5 is just a hair more at $297), it's clear the cost of that is performance taking a huge hit. This is primarily because the Celerons don't support hyperthreading or turbo boost, and have just half the CPU cache of the more expensive chips. If you ask me, it's looking very much like Google has regretted launching the Celeron models at all. Perhaps it's holding back stock in the hope it can optimize performance enough to be respectable, but without official word, no one really knows what's going on. We've reached out for additional comment.